If I were to complain, I would tell you all about my ridiculous day. I like to keep things here light though, so I’m sure you don’t really want to hear about my anti-Funday-Sunday. If I chose to complain, I’d reveal the pounding headache I woke up with due to sinus pressure. An army of germy nasal Nazis blocked the freedom of my left nostril all morning. I tried to power through and thought church might do me some good, so I showered and got ready to go. I opened the garage door and realized we were in the midst of a blizzard. I cancelled my trip to church and put my sweats back on. Remember, I’m not complaining, so I want you to know how lovely it was to rest a bit more under a plush blanket. I listened to Serbian Orthodox church music and finished Mitch Albom’s amazing book, Tuesday’s with Morrie. I was toasty and cozy, until the germy soldiers finally opened up a breathing passage by setting fire to my olfactory nerves. The burn traversed from my nose to my skull bone, blazing like Hell, but I don’t want to complain. Instead of continuing to suffer the simple act of breathing, I caved and decided to get checked out at the local Urgent Care. I drove through the tundra and got there in one nervous, stuffy piece. I walked into a waiting room with just two other patients. This shouldn’t take long, I thought. One patient was wearing dark sunglasses and looked irate. Being sick is not pretty. The only reason I had my hair and makeup done was my attempt at church. My outfit was clown-like though; I was decked out in sweats, fuzzy boots, a t-shirt, and clutched a fancy purse in my fingerless gloves. Every wardrobe “choice” highlighted a different rainbow hue. It was lucky that lady had her sunglasses on. Really, what did she know about my germs? I’m sure my Popsicle stick was filled with infectious bugs that deserved an antibiotic. There was no way in my nose-filled-hell that I was leaving without a prescription. Still not complaining, I got A LOT more extra time with my phone to check Facebook and flap a gaming bird through tunnels. What was taking so long??? I started to fake cough so the Urgent Care staff wouldn’t forget about me. I blew my nose and sneezed obnoxiously loud. I thought that’d bring the doctor flying in. I worked up a maddening appetite. I promised my family I’d pick up Mexican take-out after on my way home. I was about to hop off the examining table and request a sugar pill, but like a good patient I stayed put and Googled pictures of enchiladas. After scrolling through two more puppy photos , a break-up, and a new relationship status, the doctor finally knocked. She came in, did the routine sick visit check, and within minutes asked if I wanted a swab of my throat or treatment. Relieved to finally be offered a remedy of antibiotics and cough medicine with codeine (zzz), I gladly accepted treatment. She went to write the scripts while I called in our order to our favorite local Mexican restaurant. I felt so much better knowing I would soon eat and start my round of meds. It took the doc another seventeen minutes to write the script. I passed the extra time doodling tacos all over the white paper on which I sat. Ultimately, I scored the scripts and went to Giant Eagle to fill them. What a letdown to find the pharmacy drive-thru closed. I had to go in and nearly sunk to my knees when I saw the metal gate pulled over the in-store pharmacy. If I were to complain, I would tell you how hot tears boiled over when the apologetic customer service worker confirmed the pharmacy closed “just ten minutes ago.” She reminded me that it was Sunday; I might have remembered this if I had started my day at church. I thought of belting out my best laryngitis-laden Huey Lewis rendition of “I want a new drug.” Since I didn’t want to complain (or sing), I started to inaudibly giggle. I couldn’t stop myself and uncontrollably laughed like Muttley, the cartoon dog. The youthful customer service girl shrugged, and I walked away in snickering hysterics. Produce guy said, “Excuse me, m’am? Can I help you?” I just shook my head no, took my bag of oranges, and continued to laugh like a fool in my jester outfit. I walked past the pharmacy and noticed the workers were behind the cage having a meeting. I stopped and stared at them like they just shut down Disney Land. I considered begging for some after hours help and zoned out. I snapped out of it, and saw the pharmacists returning my stare like I belonged in a zoo. I sped away and ran into a potato chip display. Of course! I got lightheaded picking up salt and vinegar bags, but at least I didn’t drop my oranges. I sure was hungry. Time kept ticking and I still had to pick up the dinner. Guess what? The Mexican restaurant wasn’t there anymore. It relocated. What?! Well, smack my head with a pinata stick! Who knew? I called the same number for takeout like always and had no clue they moved down the road that I just passed up. I finally found my food and was on my way to feed my famished family. I pulled into our garage where my dogs ran out to greet me. They walked the outside steps with me to go to the front door, but Italia spied deer across the street. Louie chased Italia who chased the deer who swallowed a fly, I guess I’ll… sorry, wrong story. Anyhow, I couldn’t yell to get the dogs back, so I put our dinner and oranges down and smacked my hands to get their attention. The dogs looked back at me like I was cheering them on and chased Bambi faster. Harry met me at the door and gently asked, “What took you so long?” Whew, what a question. I Muttley laughed again, so hard this time, I started to cry. He too looked at me like I belonged in the zoo. I whispered that our dogs ran away. Harry lured them back with salsa chips, and we devoured our dinner like a taco prohibition was just lifted. Ole! I’m not complaining though. 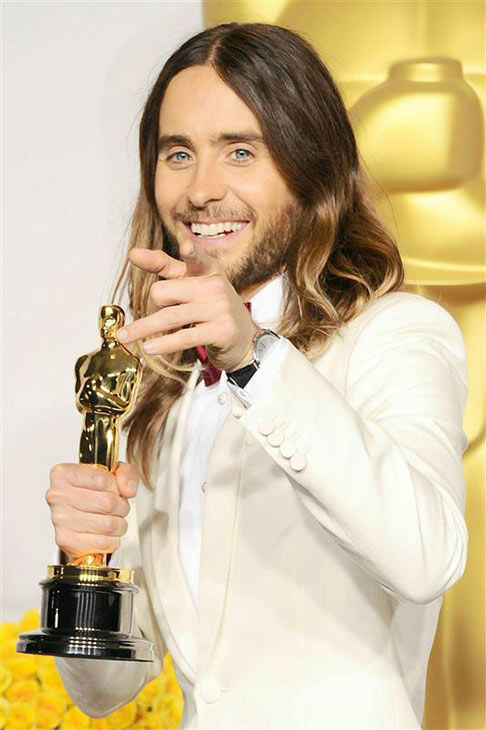 I’m happy to relax this evening, writing this on my laptop while watching the Oscars and a beautiful actor named Jared Leto. Update – 3/4/18 – Not every day can burst with dreams; that’s what makes the ones that do so amazing. Have a day you dreamed of! Next Post A Doggone Stinky Tail – Happy National Puppy Day! Ha ha! I know, right? 🙂 Thank you. A great story w oh no’s and a few giggles.